BPSC Recruitment 2018 - Apply Online for 51 Assistant Posts in BPSC, Bihar. 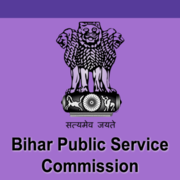 Online Applications are invited by Bihar Public Service Commission from 31 Oct 2018 to 30 Nov 2018 for 51 vacancies. For Gen/ UR Candidates 21 years to 37 years as on 01 Aug 2018. Graduate Degree from recognized University. Eligible candidates may apply online at BPSC's website (direct link is given below) from 31 Oct 2018 to 20 Nov 2018. Candidates log on to http://www.bpsc.bih.nic.in. Go to "Online Registration" & Register yourself. BPSC 64th CCE Mains Exam 2019 - Apply Online for 64th CCE Mains Exam 2019 in Bihar. Online Applications are invited by Bihar Public Service Commission from 12 Mar 2019 to 27 Apr 2019.